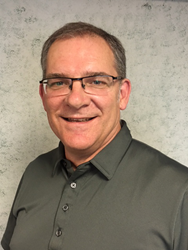 Applegate Insulation, the world’s largest family-owned manufacturer of cellulose insulation products, is pleased to announce Tim Grigg has joined the Applegate team as Regional Sales Manager of the Eastern Canadian Region. A Regent College graduate, Grigg spent a decade in a church-based pastoral ministry before earning his MBA at Western University’s Richard Ivey School of Business in London, Ontario. Grigg has spent the last twelve years in a leadership role in the commercial and residential construction industry, bringing invaluable knowledge and experience to his new role at Applegate Insulation. “I am excited to partner with designers and contractors in building high performance homes and structures featuring Applegate Cellulose Insulation,” said Grigg. Tim and his wife Debbie are both native Ontarians having raised four daughters there. He is an avid reader and enjoys studying and discussing a variety of topics including building science and theology. Grigg has always been passionate about helping people and greatly enjoyed providing comfortable homes to families, and helping businesses build and grow. Established in 1978, Aaron and his son Terry Applegate began producing insulation out of a small facility in Okemos, Michigan. Today, Applegate (headquartered in Webberville, Michigan), is the largest family owned cellulose insulation producer in the world, and supplies a variety of high-performance recycled insulation products throughout the United States. In addition to its cellulose insulation products, Applegate manufactures a suite of eco-friendly products including: Cotton Armor, a thermal/acoustic insulation blanket, board and wrap product for the construction and OEM markets, Paper Shavings, a cellulose bedding product designed for horses and all other animals, MastaSorb, cotton and cellulose-based industrial absorbents, and a full line of cellulose mulches, wood mulches and tackifiers to the international landscaping, hydroseeding and erosion control community. Applegate currently operates facilities in Michigan, Wisconsin, Pennsylvania, Kentucky, Georgia, Louisiana, Colorado and Ontario and will begin cellulose insulation production at their newest plant in Arizona later this summer. For additional information regarding Applegate Insulation please visit http://www.applegateinsulation.com or call 800-627-7536.